I was given the opportunity to try out the hair care line Free Your Mane a few weeks ago and I decided to try a few of their products for when I did my infamous blow dried hairstyle. 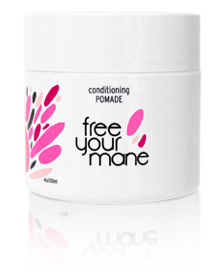 Free Your Mane products are designed for black hair; that means whether you wear your hair natural, straight, relaxed, or curly you will receive unique benefits. I’ve been going on interviews this month and I wanted to switch up my look and go professional so I used these products thus far: The winter kit- Sulfate Free Hydrating Shampoo & Daily Detangling Conditioner, Intensifying Hair Masque, Restorative Hair Oil, and the Conditioning Pomade. I’ve decided to give you their info and then my interpretation and photos of each product that I used. Here we go! I’d have to say that two weeks of washing my hair I have noticed more shine and moisture throughout my hair. I am currently not living in the worst winter conditions this year but the cold and dry hair has put a toll on my hair. I have also noticed a tingly feeling that I don’t get from most shampoos that leaves my hair feeling clean and shiny. 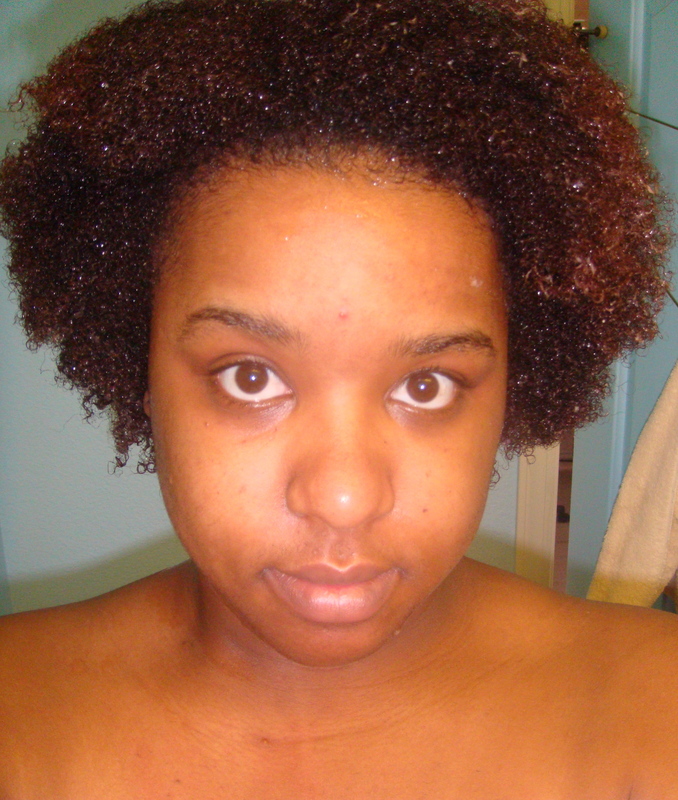 The detangling shampoo was very easy and I was able to comb through my hair without breakage or hair loss on my comb. Here is what my hair looks like at a wet and shrunken stage from using the two products. I used this the week I did my two strand twists style and as it says to try it overnight I just let it sit on my head all evening and when I went to wash my hair I noticed that my hair was not very oily and greasy which is a good thing because I hate conditioners that when left on your hair long does the opposite of what you want it to do. I’d recommend using this deep conditioner when you plan to wear your hair in a style for awhile before washing your hair. I’m currently enjoying my results. I believe this hair oil works best as a protectant when you apply heat to your hair. When I blow dried my hair it left it feeling smooth and shiny and VERY straight. Do not use too much though because like it’s name it can be oily. 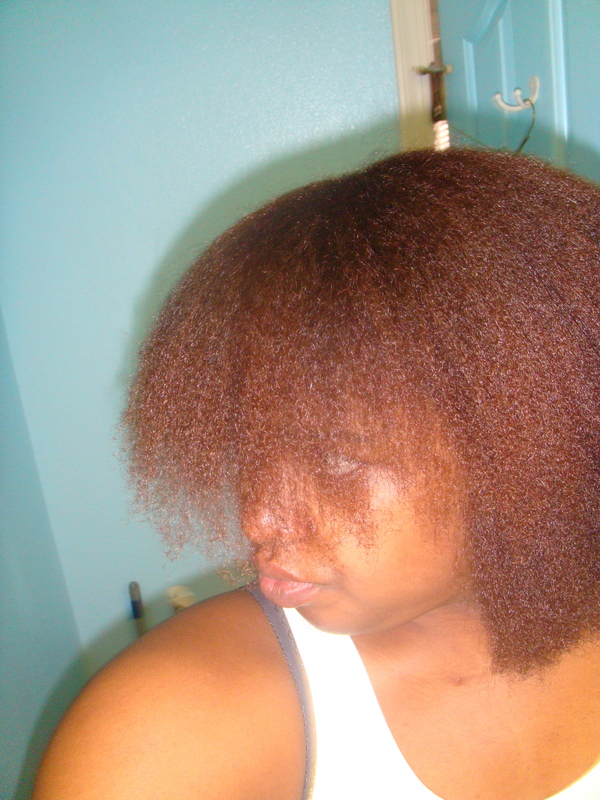 Here is a picture of my hair after I blow dried it. Don’t mind me I was being silly! Last but not least, the pomade. I love love love it! I just wanted to go in on the interpretation because I feel my claim is good enough. I’ve been trying to conquer this hairstyle I love to do but I could never seem to have my hair lay down as nice as the pomade did it. 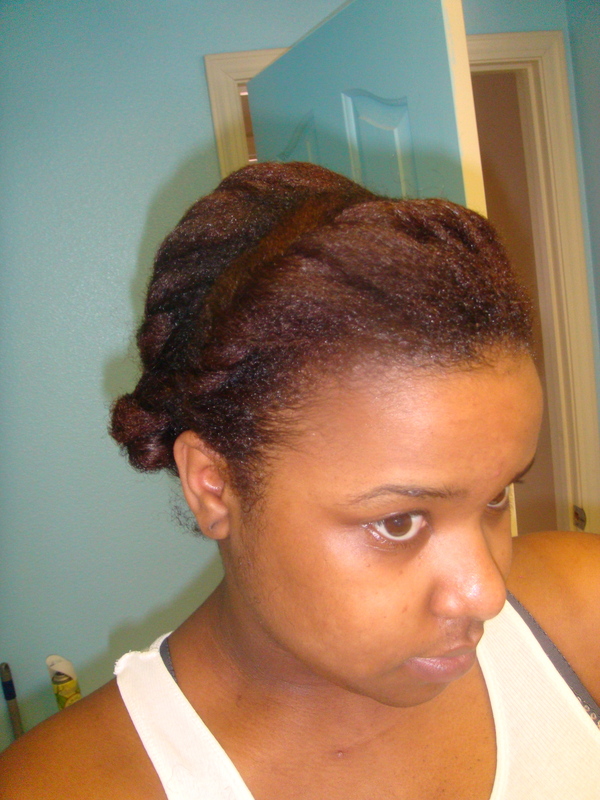 I used it on my edges to lay down my hair and keep it in place as I twisted each section. 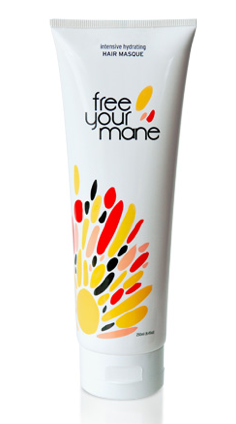 Free Your Mane says ” It is a dramatically different two-in-one styling product. Never greasy, drying or draggy our pomade provides powerful hold for your hair while actually conditioning and polishing the most defiant frizz. Trust it to straighten, smooth and tame as well as to mold, sculpt and define shorter hair and layers. Here is how my hair looked after I styled it! Check out my review from last night’s sold out show here . Ledisi is performing all weekend at Yoshi’s jazz restaurant so if you didn’t get a chance to get tickets or your curious as to what she’s up to check it out! Although this speech was given before I even began to fully understand myself, I believe that Lauryn Hill is so relevant and will always be to my generation and society yesterday, today, and tomorrow. She gave me so much insight when I watched her this morning, it made me wonder why can’t more influential artists today be like her and it inspired me to be better and do better for myself. I know that I shouldn’t make comparisons but it’s all about being humble and using your talents to make an actual difference. It’s obvious Lauryn Hill wasn’t going for the fame and recognition, that all seemed flow through her character and well being and I see that and look up to her as not only a artist but of her wisdom. She’s a legend in my book. BUT! I’ll stop here cause I will go on and make this post into my own revelation. Just take a look at her speech and let me know what you think about the topics she discussed. 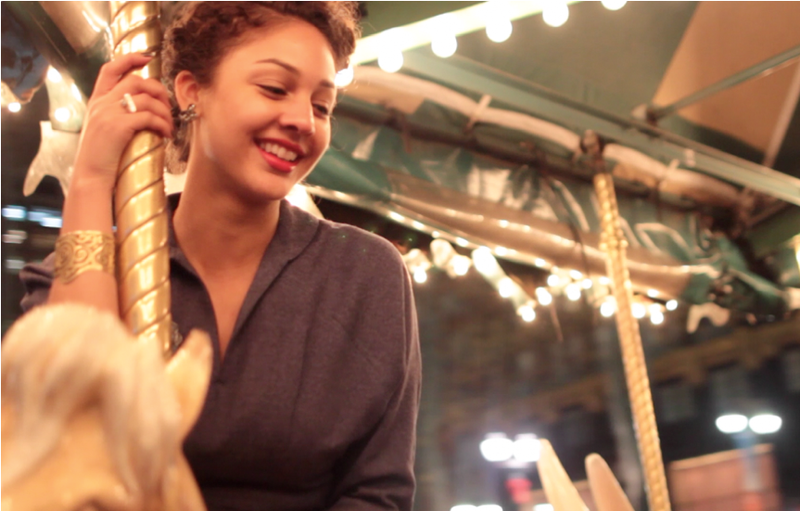 Check out the visual for Mara Hruby “Is This Love”. She’s a dope artist and bay area bred which makes her even more cool. check my feature on her EP here for the full compilation. She’s hitting the music blogs like crazy, go girl! Shot & directed by up and coming NYC director Slick Jackson. “Is This Love” is an introduction to this new & dynamic talent, as she finds Love for the city that is NYC. Her EP, “From Her Eyes”, is available for Free Download http://marahruby.bandcamp.com . Often times when the Martin Luther King Jr. day comes around we get so caught up in the actually day off from work, an extra day to party, or random quotes from his “I Have a Dream” speech that we neglect the true meaning of remembering our history. 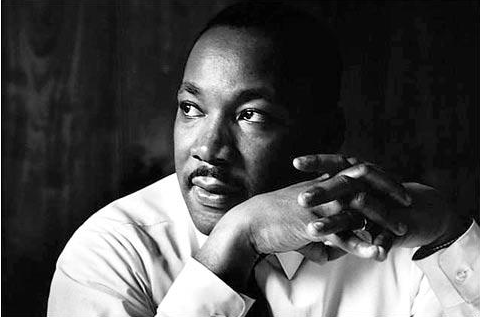 How did MLK Jr. get to his point in life where he effected so many and who paved the way for him? Yesterday I attended the Road Scholar Program at Oakland museum where there was a guest speaker who really unfolded history for me I never knew existed. The guest speaker for the event “Before Martin, there was Mary” was Sushell Bibbs, Emmy award winning executive producer for WGBH-TV, actress and storyteller, who dug the roots of Mary Pleasant; the woman of Civil Rights in California. We viewed her very own documentary where she creatively told the story of a black woman who’s work begun in the 1860’s to help shape civil rights in San Francisco and equality for African Americans. As a freeds slave, She fought for the rights of blacks to be able to ride the famous street cars in San Francisco that you see today. Being that I’ve heard the MLK story thousands of times, I found it interesting to know that a black woman way before him, put her foot down in my hometown for equality. Sushell Bibbs described Mary Pleasant’s character and beliefs with two people; Malcom X and Martin Luther King Jr. Her compassion and willingness to care for her people and others in underground railroad is shown through Martin Luther King Jr and her drive to fight for social justice by an means necessary is reinacted through Malcom X. Although I’m not the one to take sides for the different civil rights leaders, I feel that Mary Pleasant’s character and beliefs were shown tremendously through our latest leaders. As leaders for today’s society, we have to be less passive about our own issues or more concious about what we are feeding our communities because although today is a federal holiday to remember Dr. King, it’s also a wake up call that his dream has yet to be reality. As we all know the significance of January 12, 2011 marked the anniversary date of the devistating earthquake that hit Haiti last year so I thought it was dope that Melky Jean, who is a sister of Wyclef Jean, made a video for the official single off the CARE for Haiti charity album. The song is entitled “Better” and the visual for this song is heart touching. It shows the direction we have taken since the earthquake, change, and how everything will get better. Check out the video and tell me what you think! As always, I was excited to get the latest issue of Essence magazine with Regina King on the cover and as I flipped through I came across Toccara’s exclusive interview with Tina Knowles (Beyonce’s Mom) as she discussed her new line Miss Tina which is a plus size friendly line that can be find exclusively at Walmart. I think it was so necessary for Tina do bring this line to Walmart so that curvy woman can have affordable and fashionable selections when shopping for their own size. I also like how it’s not just plus size women, she has sizes for everyone! I’m loving the jumpsuit Toccara has on! The Miss Tina line ranges from dresses, casual wear, swimsuits, jeans, and more. I checked out the line for myself and there are a few pieces that I could pull off as well as my mother. 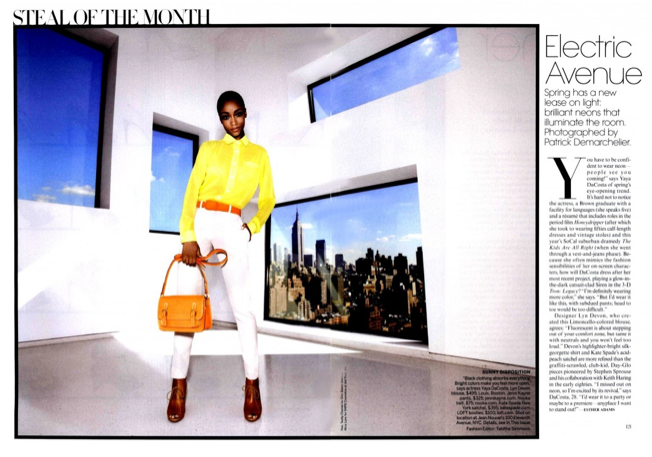 YaYa DaCosta landed a feature in Janurary 2011 issue of Vogue. I’m a little late on the news but it’s something special to have followed this natural model and actress through her successful journey and breakthrough from America’s Next Top Model to a fabulous career. She’s looking good! 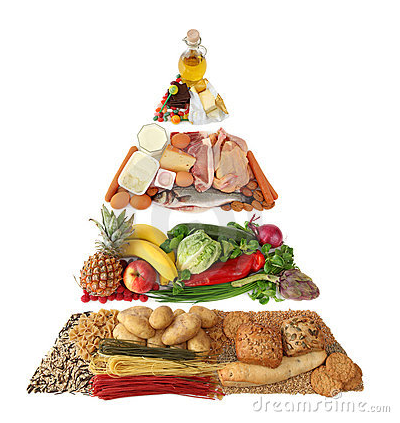 I was doing some research on ways to keep my hair healthy and came across an article on WebMD entitled “Top 10 Foods for Healthy Hair”. I’m not sure how accurate this list is but I do incorporate these certain foods in my diet that has in fact played an important role to my hair, surprisingly. Poultry- Chicken is clearly in my diet so not to worry, more protein!!! Oysters- gross, but if you are seafood lover I’d try it! Whether you believe this or not, it is important to be aware with what you put in your mouth because it could affect you hair and skin tremendously. I’ve taken biotin 1000mg and it’s okay, but I don’t like to rely on swallowing pills when I can start changing my diet to benefit my skin and hair. I don’t know about you but a McDouble is not going to be your best bet to that long curly hair you’ve dreamed of.